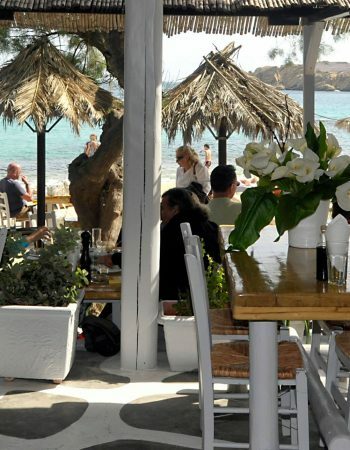 Tasos Taverna is one of the oldest and most traditional tavernas in Mykonos. 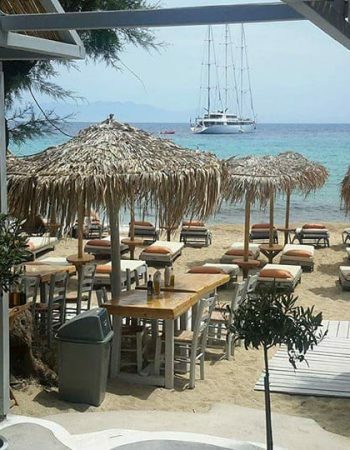 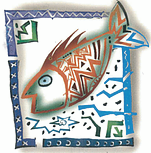 Since 1962, located in the beautiful waters of Paraga beach, well covered from the strong northerly winds is appreciated by many for its rich simplicity. 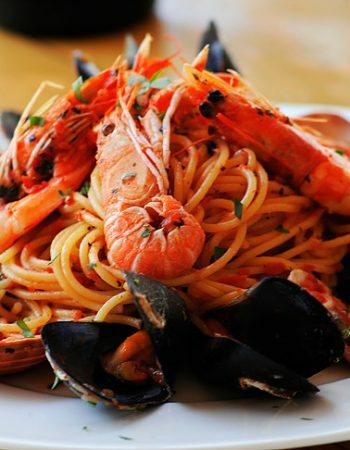 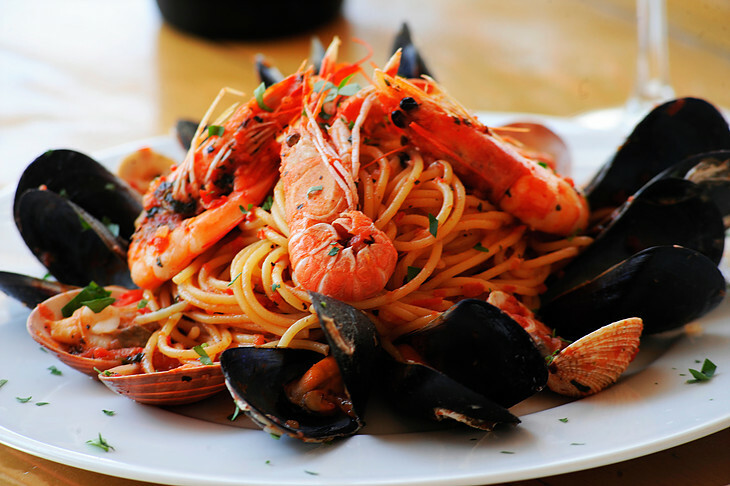 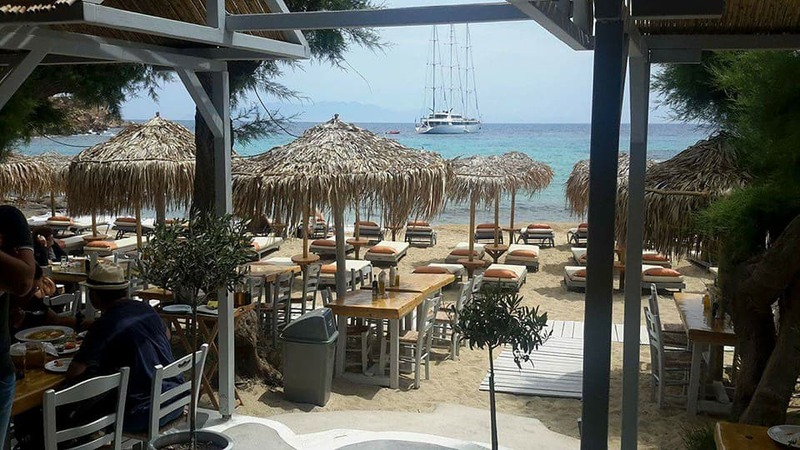 Enjoy the best of Greek cuisine, fresh seafood and a lot of Greek meze in a friendly atmosphere with casual and efficient service at very reasonable prices. 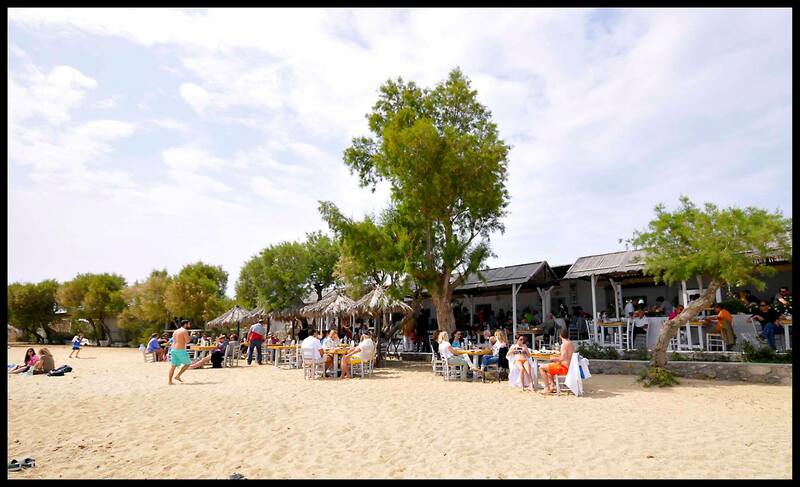 Perfect for a lazy afternoon lunch after spending the day swimming in the turquoise waters of Paraga Beach. 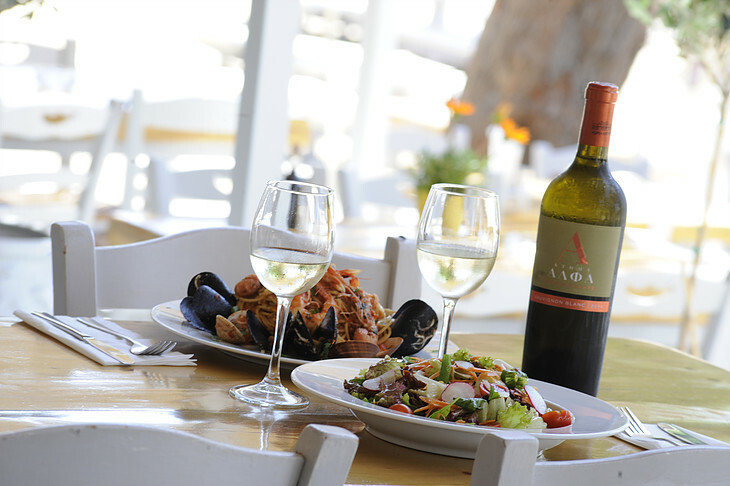 The owners are always around to greet their guests – adding to the authentic Greek experience provided at Tasos Taverna. 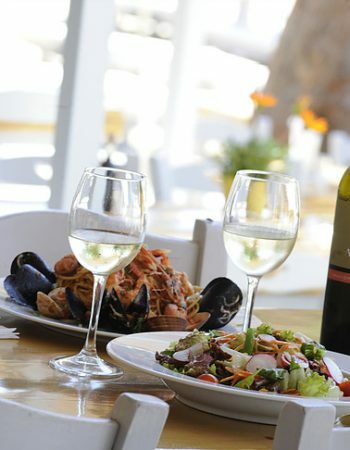 Tasos Taverna offers a great wine list to compliment all the different flavours – with an array of local wines and French wines, something for every palate.